Basic plain tops are essential for any casual wardrobe girl. 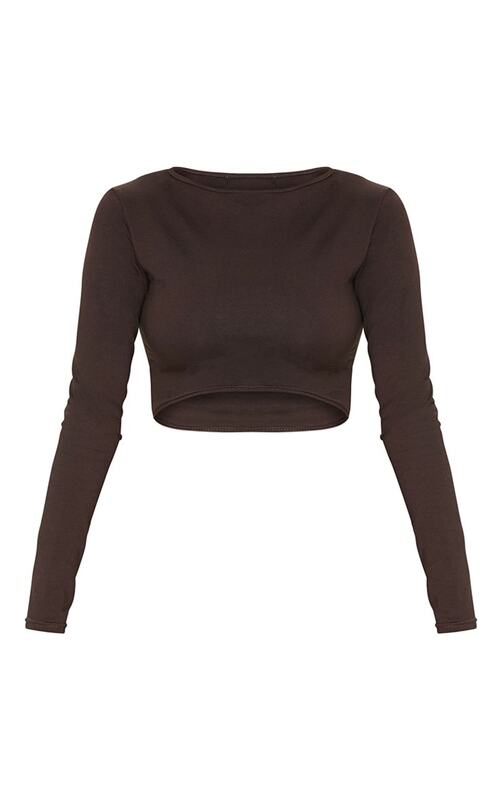 Featuring a brown jersey material with long sleeves and a curved hem. Style this crop top with some cargo trousers and barely-there heels, finish off the look with a bum bag.